Accidental Queens’ A Normal Lost Phone was unique not just because it’s one of a rare few games that mimic an entire smartphone, but because of the sensitive topic it explores. Without giving too much away, I will say that it was about teenagers and finding one’s way in life, where one can be themselves and comfortable in their skin. It was clear to me that the developers were coming from a positive place and trying to create a meaningful game, but some folks criticized them for the way they depicted the subject matter, as well as normalizing poking around in someone else’s phone. I had many good things to say in my review, so I was happy to see that they were back with a sequel of sorts, and that they learned from some of their mistakes. 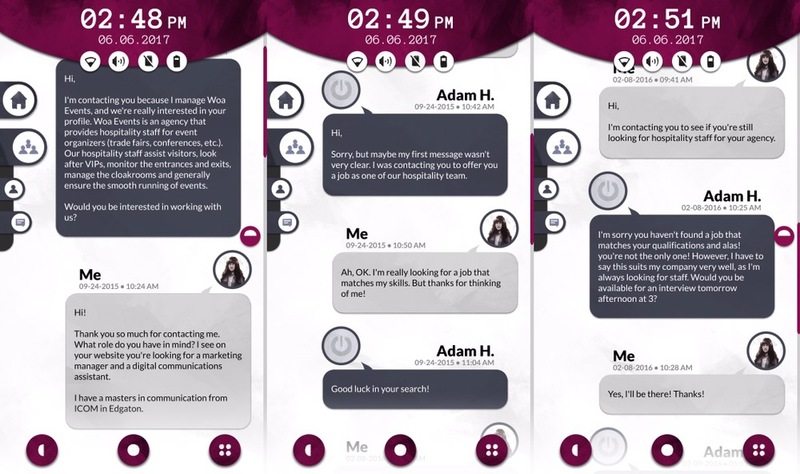 My main complaint with A Normal Lost Phone was that all the text messages were available from the start, so you’re hit with a huge wall of text to read through before you even need to bother solving any puzzles. It can be a bit overwhelming, and I think I even took a break early on, as it was just such an overload of information. Another Lost Phone: Laura’s Story fixes that by locking more conversations in other apps and behind passwords. So you’re given a fair amount to read through in the beginning, but nothing close to the amount in the original game. This made it easier to spot important pieces of information and also absorb the story in more manageable chunks. It also made it feel more like a game right off the bat. The first puzzle you need to solve — as with the first game — is connecting to Wifi. You still have access to some things without it, and those will help you get connected. 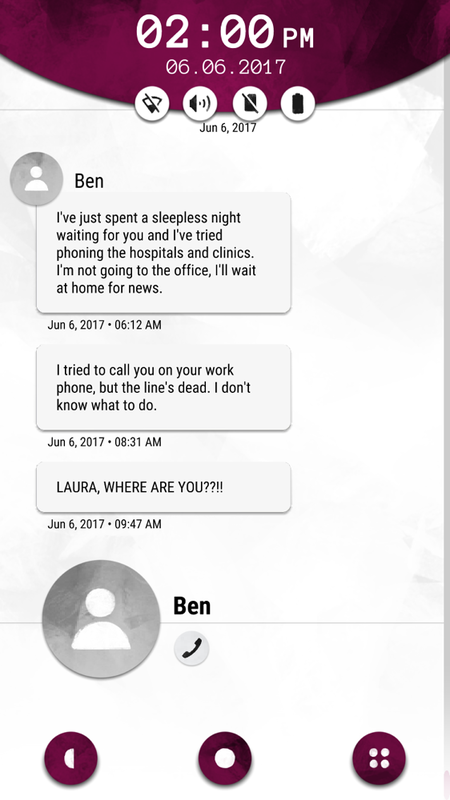 Based on the text messages you first see, Laura is the owner of the phone you found and she seems to be missing, or at least not contacting any friends or family, as some are worried about her. The date on the phone is June 6th, 2017 and the content on it goes as far back as August 2016. That’s when Laura got a new phone and apparently didn’t sync everything from her old one. Things unravel at a fairly quick pace, as long as you don’t get stuck on any of the passwords. It didn’t take me too long to guess what was going on with Laura, and that’s not necessarily a bad thing. The first game almost felt a little gimmicky the way it tried to surprise you. A common complaint from others about A Normal Lost Phone was that the player was too invasive, pretending to be the phone’s owner with others. This also included sending a photo along to someone without the owner’s permission. While there’s really no way to avoid the uncomfortable feeling of snooping around someone else’s phone in a game like this — that is, unless you choose not to play — some pains have been taken to make it less creepy this time around. Also, try to remember that this is a game. I find it a bit silly that the developers now felt the need to put a disclaimer warning people not to do this in real life. Do first-person shooters warn their players not to run around blowing everything up in the real world? The whole point of it being a game is that you can do something you normally wouldn’t in real life. It’s an interesting experience to be able to unravel details about a person’s life without having to invade an actual person’s privacy. I found this game to be a bit more realistic than the original. 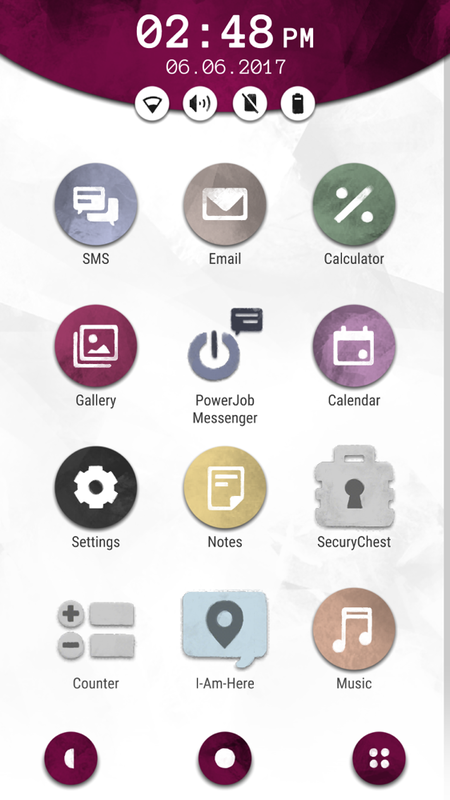 One reason is that the interface looks and feels more like a real phone. Minimizing an app usually holds your place in it (but not always). Also, contacts in Laura’s phone don’t have profile images. I don’t know about others, but in my seven or so years owning an iPhone, I’ve only given maybe three contacts profile photos. Yet in A Normal Lost Phone, a large number of them had photos. Since it means the person owning the phone went and put photos for each one, it seems a bit unlikely. The absence of them here serves two purposes. They make it feel less like a game and more like a real phone. And they allow for a really nice early puzzle involving identifying three people based on the photos given. Since no one at that point has a profile photo, you’re forced to find the answer by digging through emails, text messages and other apps. I thought that was a great way to mix things up from the usual password-cracking, and it was one of my favorite puzzles in the game. Later, when you unlock other apps, contacts in there usually do have profile photos because those are chosen by each individual person, not the phone’s owner. That made a lot of sense and gave it more of a real phone feel. Though there’s a familiarity to cracking the pass codes if you played the first game, I found the puzzles more interesting this time around and a more central part of the game. Since you’re not given as much in the beginning as you had in A Normal Lost Phone, it’s less intimidating and feels more structured. But that also means you’ll finish more quickly if you’re good at solving the puzzles. I finished it in less than a day and it did move at a faster pace than the first game, but that also might have been because I was so sucked into it. Laura is older than Sam was in A Normal Lost Phone, and therefore one of her main concerns is finding a job. 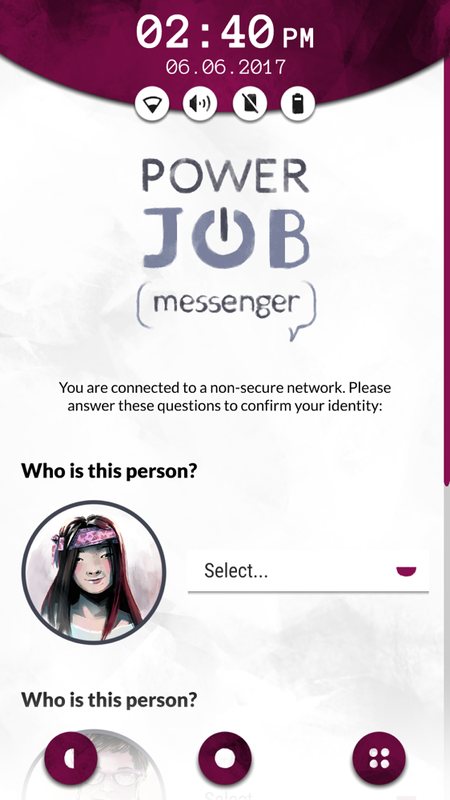 That’s where the PowerJob Messenger app comes in, and there are some interesting little tidbits in there, like getting offered a job she’s overqualified for, watching her turn it down, then come crawling back for it when she can’t find a job with her qualifications. It’s not part of the main story, but it stuck out at me as something so many people experience these days, and I thought it was a nice subtle touch to round her out as a believable character. On top of everything, the game deals with an important and sensitive topic that I won’t discuss because it’s much more interesting to discover it for yourself. But it shines a light on a topic that’s widespread but somewhat taboo, especially in this medium. So it’s refreshing to see a game that isn’t just about entertainment, but also conveying a meaningful message. I did have a few small issues with the game, though. While it mostly felt realistic and the characters were fleshed out, I noticed that some contacts were missing this time around, most notably Mom and Dad. I found that a bit odd, but it’s also possible I missed a detail that explains it. Also, as with the first game, the ending is a bit contrived and requires a little bit of mental gymnastics to make it work. But to the developers’ credit, they do try to give a reason for you having the phone in the first place. It doesn’t work entirely, but I still found it satisfying enough. And for those who care, there are GameCenter achievements, including one that should have probably been in the first game as well. But at the moment I can’t find any way to access the list from within the game. 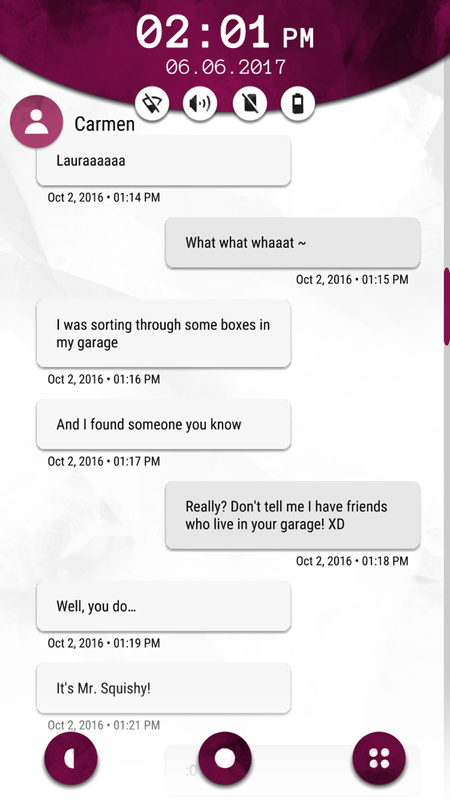 Another Lost Phone: Laura’s Story is pretty much what you’d expect from a sequel. It borrows things that worked from the original and improves upon those that didn’t. The story is less surprising this time, but that didn’t bother me. I thought it unraveled at a decent pace, getting bits and pieces of information here and there as I unlocked different apps and accounts. Basically, if you like the idea of smartphone-mimicking games and aren’t afraid of some heavier subject matter, this one’s a no-brainer. But don’t expect a game that will last you a while. It’s a short but memorable experience. If that sounds good to you, you can download Another Lost Phone: Laura’s Story here. And if you get stuck, try my complete walkthrough guide.